For a small company we have big ideas and work with incredible collaborators and partners to help make them a reality. Associate Artists at The Lowry, each year we engage with thousands of people locally and nationally. We create performances which tour to arts venues and unexpected places, provide curriculum and enrichment educational workshops, creative projects for community groups, bespoke professional development training and public speaking. We have been commissioned to create work for, and partnered with Museum of London, Southbank Centre, Contact, Belgrade Theatre Coventry, People’s History Museum, Manchester Science Festival and Manchester City Council, among others. Our Advocates include Rory Bremner, Kate Green OBE and Sally Carr MBE. We’re invested in being part of positive change and work with audiences and participants to bring about social action. We make work for the here and now which responds to the world we live in and questions what it means to be part of society. We focus on encouraging and engaging women, young people and isolated communities in the arts, are passionate about diversity and committed to providing accessible artistic experiences. As a Queer led company, we work extensively within the LGBTQ+ community. As a rule we try to provide a quality brew and biscuits for the people we work with, and listen more than we speak. 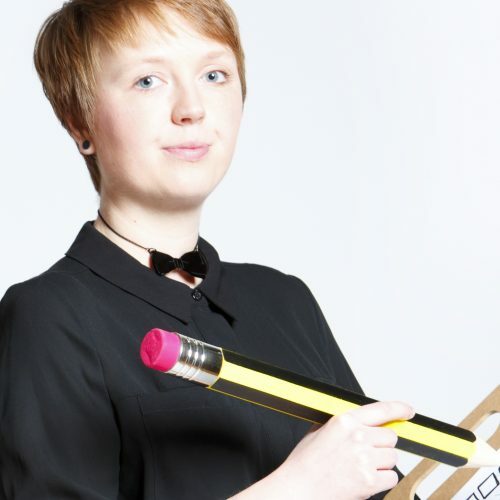 2017 (Named) Sarah Emmott listed on The Purple List (Influential Bisexual List). 2014 (Winner) ‘Theatre Production of the Year’ (for Secret Diaries) at the Co-operative ‘Loved By You’ Awards. 2016 (Shortlisted) ‘Equality Award’ at ‘Heart of Salford’ Awards. 2016 (Shortlisted) ‘Community Organisation of the Year’ at ‘LGBT Foundation Hero’ Awards. Writer, Performer, Maker, Facilitator and Producer. Her solo production The Speed of Dating toured with sell out runs. She has created a number of interactive micro-works including Kiss my Heart. Her work has toured to theatres nationally and featured in bus stops, car parks, trams and community spaces. Producer, Director and Theatremaker. 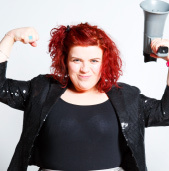 A recipient of the Edinburgh Festival Fringe Producers Bursary Programme, she co-produces Pen:Chant, a cabaret night founded by Slam Poet, Ben Mellor and co-founded Lost & Found, a pop-up performance festival in Manchester.